Why not a one-line poem? So why not the one-line poem? What’s the problem? Well, says the critic in all of us, consider the objections, think of the contraries to be posited, the real distinctions to be made. For example, consider this question: In writing a one-line poem, how do you know when you’re done? The easy answer is that the form tells everything you need to know: write two lines and you’ve blown your charter, and written something else; might as well go finish that sonnet. What more is there to say? What more is needed? Any addition would make this poem not merely different, but would lessen it, for it has in that one line used up all of its information, said as much as Jonson needed for it to say, and as much as anyone could want for it to say. And against all arguments is the fact of the one-line poem. That is, the fact that they exist. Take a look at the little anthology of one line poems included at the end of this essay. They are poems, written by poets and intended to be read as poems. Is there any reason to think of them as not-poems? 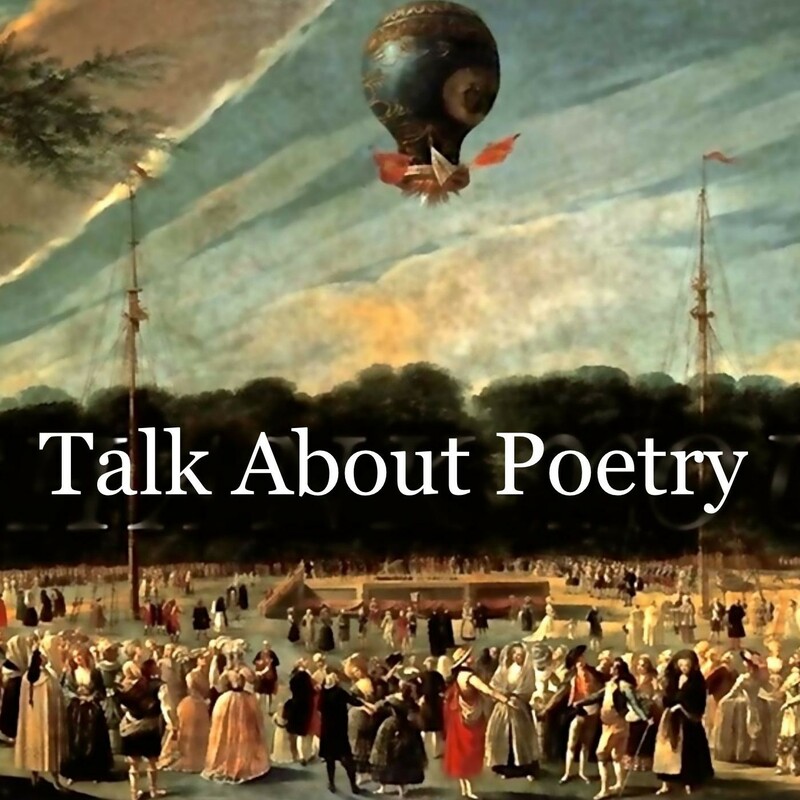 There is of course more to discuss about this subject, about how the one-line poem is different from the aphorism, the folk-wisdom, the prophecies of bibles and men, cliches, haikus. And it’s worth pausing for a moment to note how often we as readers treat our poems as if they were one-liners: Slouching toward Bethlehem, Not with a bang but a whimper, The world is ugly and its people are sad, etc. These are of course not one line poems, except by virtue of an application of memory’s razor, and except by the preference of our forms of speech and thought, which make in practice an implicit acknowledgement that the power of such lines comes not from the poem they are quoted from but from the world as it is, as we have found and live in it, which is the criteria that makes the lines detachable and great: They touch the world, and they inform and organize reality. Separated from their origins, they have become part of this new thing, our lives. There’s not a lot of room in a one-line poem. The poet can’t do much witty turning and pirouetting (that turn from one line to next being at some point in its ancestry descended from Latin versus “a line, row, line of verse, line of writing,” the enlivening and informing metaphor lurking behind being one of plowing, of “turning” from one line to another (vertere = “to turn” as a plowman does): the one-line poem being unable to turn, as verses do, and thus surrendering ab initio at the level of form one of the great traditional armaments of poetic strength. In such rejection, the one line poem must have other strengths, other pleasures. There’s also this taxonomic problem, that one-line poems are both like and unlike everything near them: They borrow, for example, their sense of balance and tension from the aphorism, their offerings of wisdom from the folk saying, their perfection in the moment from the cliche; but they are not aphorisms, folk sayings, or cliches. Their life is different, their purpose inclusive of these others but also broader, as all poetry is broader, else it is not poetry. Hemingway’s stories and novels do not stop at one line, of course. What I think is important in his description is the tremendous weight he puts on that first finding, of the “.…one true sentence…” It is not only a beginning, in his hands, its is also the criteria by which he will judge every sentence that comes after: “If I started to write elaborately, or like someone introducing or presenting something, I found that I could cut that scrollwork or ornament out and throw it away and start with the first true simple declarative sentence I had written.” The one true line is thus both beginning and aesthetic, the start and the criteria, the reality of everything and the promise of more. That’s a lot to carry; and of course it’s easier to bear if you’re a great writer like Hemingway. I make one image… let it breed another, let that image contradict the first, make of the third image bred our of the other two together, a fourth contradictory image, and let them all, within my imposed formal limits, conflict. Each image holds within it the seed of its own destruction, and my dialectical method, as I understand it, is a constant building up and tearing down of the images that come out of the central seed, which is itself destructive and constructive at the same time. Got that? You ask, perhaps, what is left after all that tearing down and building up, all that heavy-breathing Hegelian afflatus? Well, the answer seems to be something similar to what Hemingway said: what is left is the image, the creation that contains within itself not only everything necessary to it as an image, but also the criteria used to judge and accept our reject its warring successor. The lesson I take from these two writers is that poems and stories begin somewhere, with a line or sentence or image that contains information enough to sustain itself, and all that is necessary to generate a next line or image. And if it doesn’t do that? If the information is all used upon in the first line? Well, then you have the one-line poem. A line is a subdivision of a poem, specifically a group of words arranged into a row that ends for a reason other than the right-hand margin. This reason [for the ending of the line] could be that the lines are arranged to have a certain number of syllables, a certain number of stresses, or of metrical feet; it could be that they are arranged so that they rhyme, whether they be of equal length or not. But it is important to remember that the poet has chosen to make the line a certain length, or to make the line-break at a certain point. This line-break, where a reader has to turn back to the start of the next line, was known in Latin as the versus, which translates as “turn”, and is where the modern English term “verse” comes from. It is one of the strongest points of a line, which means that words that fall at the end of a line seem more important to a reader (an effect that rhyme can intensify); other strong points are the start of a line, and either side of a caesura. Note that this is not so much a definition as a set of parameters intended to contain the notion of a line in poetry; the words here define the container, as the critic or reader must see it for analysis, and syllables or rhymes or stresses, but not the content, as the poet and the lover of the words must it to take and hold them. A piece of writing in which the expression of feelings and ideas is given intensity by particular attention to diction (sometimes involving rhyme), rhythm, and imagery. —a definition not especially helpful, as it could apply to what we usually think of as poetry, in stanzas and lines and rhymes, but also to any heightened piece of writing, in prose, songs, plays, or for that matter, in words shouted at no one in acts of madness on some dim street. Yet, there is something here, that the writers of this definition thought helpful, that wonderfully avoids the can’t about little machines of words. poem (n.) 1540s (replacing poesy in this sense), from Middle French poème (14c. ), from Latin poema “composition in verse, poetry,” from Greek poema “fiction, poetical work,” literally “thing made or created,” early variant of poiema, from poein, poiein, “to make or compose” (see poet). Spelling pome, representing an ignorant pronunciation, is attested from 1856. That in itself is enough for our distinctions. An aphorism, says my Merrian-Webster, is “1 : a concise statement of a principle. 2 : a terse formulation of a truth or sentiment : adage the high-minded aphorism, “Let us value the quality of life, not the quantity.” A truth, a principle, are surely important things; but the principle business of an aphorism is in these things, not poetry. As for folk wisdom, my Collins English Dictionary defines it as “wisdom or beliefs associated with or traditional to the common people of a country. Folk wisdom recognizes that to forgive is divine. A leopard’s spots are fixed for life, according to folk wisdom, but despite the saying, people do change.” Again, wonderful; but folk wisdom’s aim is wisdom, not poetry. In both cases, aphorism and folk wisdom, the writing can rise to the level of poetry, in which case it becomes a one-line poem in addition to anything else it might be. You can see countless examples of lines which are both poetry and something else through the Book of Proverbs in the bible: “As a dog returns to his vomit, so a fool repeats his folly.” A haiku, of course, by entering this world in three or four lines, violates our first principle, of being a one line poem. People keep trying to make poetry co-dependent, as if it needed criticism, or needed teachers, or books, or magazines. But here’s the thing. Poetry has always existed. It was here before any of those other things, before books, magazines, the internet. In fact, it’s likely that the only thing that is co-terminus with poetry is the critic. Thinking about the starting place, the first moments, it’s possible that the first poems were one-line poems: subjective exclamations, exhortations to the sun or moon, not scattered, or unintentional, not accidental, but a necessary calling out, of gods or fire or rain. The fact of the one line poem is the fact of speech so heightened as to become poetry. Did you move, in the sun? The summer holds me here. 0 living pine, be still! Unable to endure my world and calling the failure God, I will destroy yours. 194 (Epigraph beneath portrait in his shroud. Deaths Duel!, 1632). Corporis haec Animae sit Syndon, Syndon Jesu. (May this shroud of the body be the shroud of the soul of Jesus. What I love is the variety here, from the wit of Winters to the images of Charles Wright and Bill Knott, to the wisdom of Mathews. As we said at the start, the genius of poetry is that it can engorge anything and make it poetry. The one line poem is the reminder of all beginnings of the art, what a poem is before it becomes anything else.